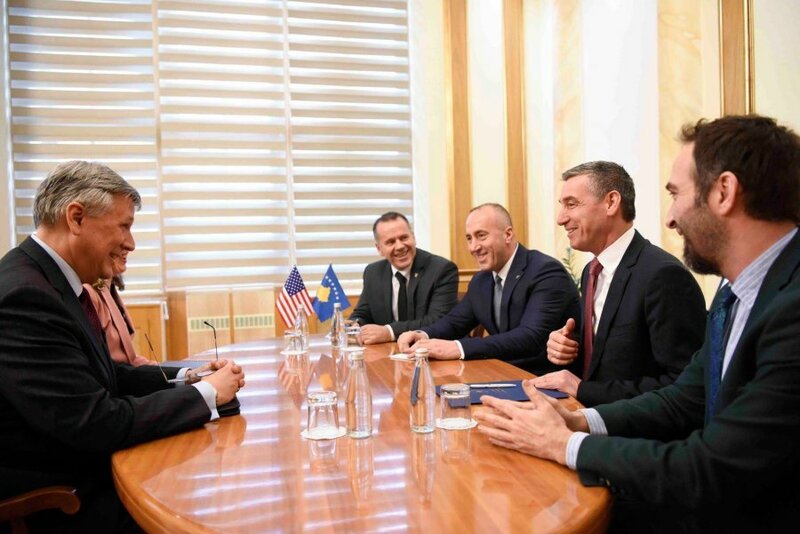 Yesterday, Kosovo’s PM, Ramush Haradinaj has met his governing coalition partners to discuss the latest political developments in the country. The meeting between the PM and chairman of PDK, Kadri Veseli has been held behind closed doors and without the presence of the media. IBNA learns that the meeting has discussed the tax introduced on goods coming from Serbia and the request coming from the US for its suspension. Haradinaj has insisted that the tax should remain in force, while the parliamentary speaker has demanded a 120-day suspension of the tax in order to give way to the dialogue for the normalization of ties with Serbia. After this meeting, the heads of the governing coalition in Kosovo said that the coalition is functional and stable. The statement says that “the meeting discussed the latest political developments in the country, the functioning of institutions, the government and parliamentary agenda, the platform for dialogue and the issue of tariffs”. The coalition partners have agreed on intensifying their actions and activities in order to come up with a decision on these issues. The meeting has also discussed the main aspects that relate to the platform for dialogue, which is soon expected to be voted by parliament. The platform for dialogue will reflect the unified position of the country’s institutions in achieving an agreement with Serbia which will need to lead to mutual recognition and to Kosovo’s accession in the UN. “Coalition leaders also pledged that they would intensify steps and coordinate decisions with Kosovo’s strategic partners, USA and EU”, the statement reads. Relations between coalition partners in the recent days seemed more fragile than ever due to their disagreements on the issue of tariffs introduced on Serbian goods.